After more than two years, the console finally has an exclusive that's truly special. Almost three years after the Xbox One's debut, it's getting its biggest and arguably first real exclusive. Quantum Break won't be available on other consoles, it isn't a sequel, nor is it multiplayer-only. It's the latest game from Remedy Entertainment, the studio behind the Max Payne and Alan Wake franchises. And it couldn't come at a better time for Microsoft, either: In a matter of weeks PlayStation 4 owners will have Ratchet and Clank and Uncharted 4: A Thief's End, and Wii U owners get Star Fox Zero. If Xbox One didn't have an exclusive of its own right now, it'd be the odd console out. Good thing, then, that it's Remedy's best game yet and the Xbox One finally has a AAA showcase for what it's capable of. Let's take a step back, though. Until now, Xbox One exclusives generally haven't been worth writing home about. The few new, but boring, titles like Ryse: Son of Rome and sequels including Forza Motorsport 5 and Dead Rising 3, didn't do much to move the needle. Especially not after Microsoft's numerous PR missteps leading up to the Xbox One's release. 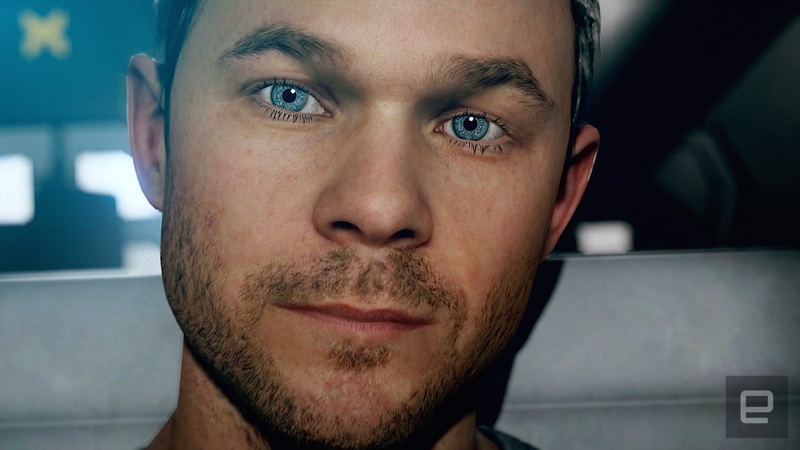 'Quantum Break' is developer Remedy's best game yet. A majority of the Xbox One's "originals" have been bigger, prettier versions of games you've played before. Whether they're sequels like Forza Horizon 2 and Halo 5: Guardians or HD-revamps like Gears of War: Ultimate Edition or Rare Replay Collection, there isn't much that's entirely new on the system. Games you can't play on any other console have been few and far between. Titanfall had a surprisingly decent version of its multiplayer-only mech battles on Xbox 360, for example. Sunset Overdrive is a wildly colorful and inventive shooter -- and a true exclusive -- blending punk rock, parkour and a cartoony art style that didn't fare well among fans at all. Even though it hails from well-regarded developer Insomniac Games, three months after its 2014 release it still hadn't cracked the NPD's top ten selling games. Which brings us to back to Quantum Break, Xbox One's stand-out exclusive. At its core, it's a cover-based, third-person shooter that's exclusively single-player. The game centers around time travel, which isn't just a plot device; it bleeds into combat and platforming puzzles, as well. Because protagonist Jack Joyce (played by a digital version of X-Men's Shawn Ashmore, above) came in contact with a time machine before everything went pear-shaped, he's witness to glitches in the space-time continuum and can manipulate time as he sees fit. Sometimes the glitches are small. There's no way to get inside a swimming pool facility early on in the game, but alongside the building near its dumpster there's a strange teal cloud. Walking near it causes the camera distort and pulls everything out of focus. Paint and metal particles dance off the shed covering the dumpster, hovering above the surface briefly before settling back in place. It looks really cool. This is where I had to rewind time so someone from the past could pull the dumpster out of its shed and erect a scaffold to finish a graffiti mural -- all depicted using time-lapse photography. But the rewind is finite and I had to make it to the pool's roof before the temporary glimpse at the past ran out and everything returned to its original place. The swimming pool time-lapse, in action. The more severe glitches, dubbed "stutters," are even more impressive. They show massive-scale destruction in still frame, except you're able to freely walk around in them. Later in the game, a shipping barge crashes into a bridge filled with traffic. Time stops at the moment of impact, just as chaos takes over. The whole set piece feels like trying to navigate a painting by M.C. Escher. That is, if the noted surrealist painted with destroyed vehicles, frozen bullet tracers and swarms of floating traffic cones. Given the scene's complexity in terms of how much carnage surrounds you, the absolutely surreal architecture and visual effects at play here, it would've likely caused the Xbox 360's 11-year-old hardware to melt. Remedy's eye for the dramatic doesn't stop there, though. This is the studio that popularized slow-motion Matrix-style gunfights in video games with 2001's noir-inspired Max Payne, after all. Time manipulation plays a key role in combat as well and keeps it from feeling rote. There are only a handful of time-manipulation powers, but they're all incredibly well-designed. Hitting a distant enemy with a time-slow bubble like the one pictured below, for example, serves double-duty: Anything caught inside it freezes in place, but the coolest wrinkle here is that any bullets fired into it will explode once the time-slow bursts, dropping any enemies caught in its blast radius. Time and again, when I caught an explosive container in that lethal bubble, the resulting fireworks show always made me smile like an idiot. There's a really neat variation on Max Payne's shoot-dodge move, too, where you can quickly dash past an enemy and pump a few rounds into them in slow-mo before they can counterattack. The game's time machine isn't like Doc Brown's DeLorean from Back to the Future that can jump to any point in the past or fast-forward 30 years. Instead, Quantum Break's is rooted in the Novikov Self-Consistency Principle. Long story short, you can't use it to go back and kill Hitler because it would fundamentally alter the course of history and the resulting future that led to the time machine's creation. Time operates on a closed cycle, and major changes to history would create paradoxes. And sometimes, in your efforts to prevent something from happening, you'll inadvertently cause it to happen — multiple paths, same outcome. This isn't just a convenient tool used to simplify game mechanics, though. It's an integral part of Quantum Break's story about trying to fix your mistakes, only to wind up right back where you started. Choices made at key points change how certain elements of the plot play out, but the game's final moments largely remain the same. Quantum Break could exist on other platforms, but no one could have made it except Remedy, a studio that hasn't published a game on a non-Microsoft console in more than 12 years. The game's episodic narrative structure comes from Alan Wake, but it has much better pacing. Then there's the cinematic presentation and manipulation of time that leave Max Payne's iconic slow-motion combat in the dust. 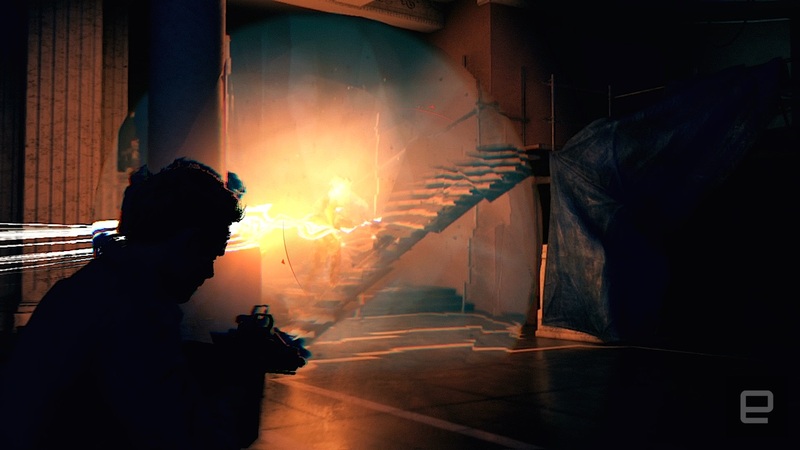 'Quantum Break' could exist on other platforms, but no one could have made it except Remedy. The surprisingly well-done live-action TV episodes that fill out the branching narrative are something brand new, not just for Remedy, but video games as whole. Combined, this forms an experience unlike anything I've played before. Quantum Break is the culmination of everything the studio has been working toward for more than a decade and the developers aren't afraid to flaunt it. Console exclusives exist to showcase the strengths of each individual platform, and up to this point the Xbox One really hasn't had one. But Quantum Break changes that. After more than two years, the system finally has its first killer app.